There's no better time than the end of the year to buy pop culture themed items that defined the past 12 months, and the funniest find of the 2015 holiday season is definitely the Drake ugly Christmas sweater. Mixing a Grammy-nominated rapper with a dose of holiday cheer just seems right, but before you jump on the ugly sweater bandwagon, take a look at how your favorite Drake sweaters rank in wearability throughout the rest of the year. Because if you're going to spend your hard-earned cash on a funny sweater, you might as well get some wear out of it! Getting into the holiday spirit is fun, but that doesn't mean it has to cost you. Don't get me wrong, I love a good ugly Christmas sweater as much a the next girl, but I love getting wear out of my clothes even more. With some of these Drake sweaters costing up to $50, it only makes sense to shop one that you can wear year-round. Not only can you have a hilarious holiday season, but you can make every other month just as merry and bright. I think Champagne Papi would want it this way. If you're still looking to say YOLO and invest in one of these iconic sweaters, then allow me to help you. Here are Drake holiday sweaters ranked from most to least wearable so that you can make the most of your Drake-mas for as long as possible. 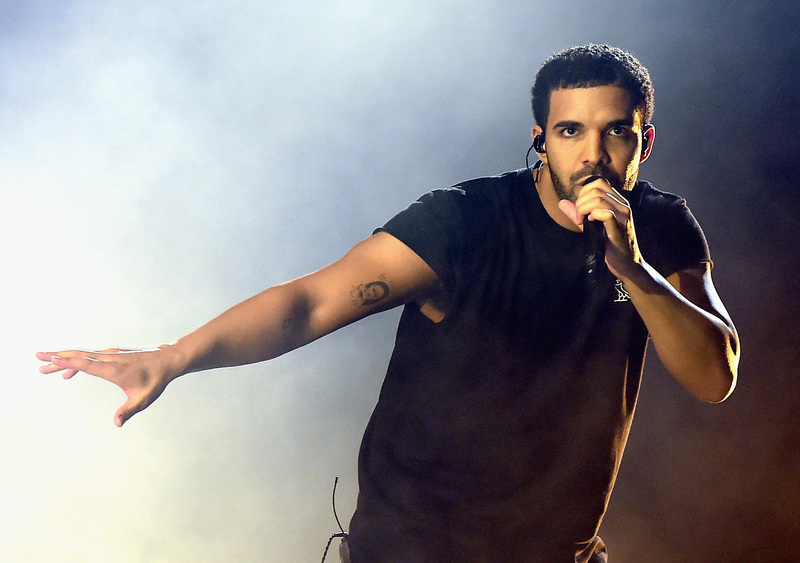 If you're looking for year-round Drake style, then this is the one for you. Yes, it lacks in Christmas spirit, but you can get away with wearing throughout the entire season with ease. A bunch of dancing Drakes make this sweater more wearable than one covered in holiday motifs. The only thing Christmas-y about this is that it's got a few snowflakes on it. With so much hotline bling going on here, people won't even notice that it's meant for the holidays. Unfortunately these colors are a clear giveaway, but you could definitely make this one work year-round as well. The bright color makes this pretty appropriate for any time of year. There's no denying the holiday aspects of this sweater, but the fact that it incorporates both of the Pantone colors of the year is enough to make it work into 2016. If you're walking fast, people might just think this is the classic 1-800-hotline-bling sweatshirt. This isn't a great choice for wearability after Christmas, but it is quite subtle if you get it in black. Yeeeeah there is no denying that it's a holiday sweater. Drake as the Grinch? Super cool, but not exactly versatile. Want more holiday tips? Check out the video below, and be sure to subscribe to Bustle’s YouTube page for more hacks and tricks!